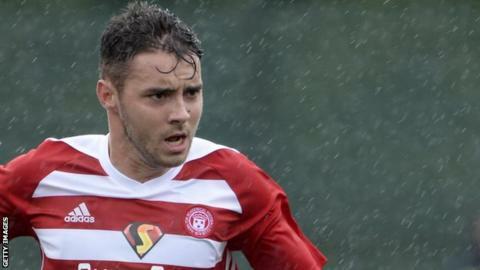 Peterborough United have signed versatile midfielder Darren Lyon on a one-year deal following his mutual exit from Hamilton Academical this month. The 23-year-old made 30 appearances for the Accies in the Scottish Premiership last season, in a variety of positions. Lyon, who joined from Rangers at under-15 level, played 73 first-team games and scored three goals. "He put in some good performances and is very comfortable at right-back or wing back," Posh boss Steve Evans said. "Those are his premier positions, but he can also operate as a midfielder."